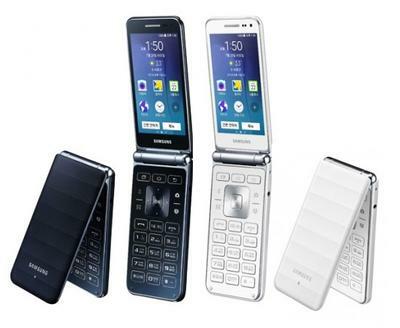 Galaxy Folder 2 Android flip-phone coming soon? 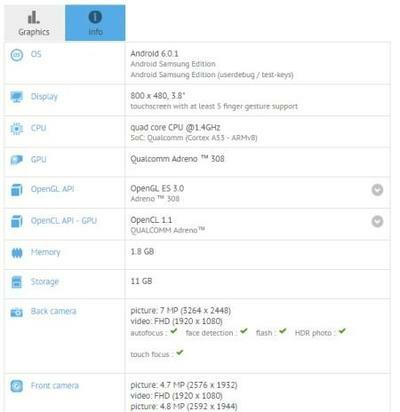 Samsung may have a new Android-powered flip phone coming down the pipeline dubbed the Galaxy Folder 2, according to Priceraja, which said it recently found a GFXBench sheet that lists the specs for the alleged smartphone. The benchmark spec list doesn’t show a very powerful smartphone; rather, what seems to be a relatively simple Android flip-phone. The hardware appears to include a 3.8-inch 800 x 480-pixel display, a quad-core Qualcomm processor clocked at 1.4GHz, Adreno 308 graphics, 1.8GB of RAM (likely 2GB), 11GB of usable storage (probably 16GB total), and what appears to be a pair of 5-megapixel cameras (listed as 4.7MP and 4.8MP). We don’t know what it looks like, but the original Galaxy Folder is posted at the top of this story to give you an idea of the form factor. The display size and resolution do indeed suggest this is some sort of flip phone, at least given the tiny size, but there’s no additional evidence this is actually the “Galaxy Folder 2” other than Priceraja’s word. These phones don’t typically make it to Western shores, either, so don’t hold your breath for the Galaxy Folder 2 to arrive at your wireless carrier.